Michele Colonna was born in Corato where he lives. From 1969 to 1975 in his capacity as an industrial mechanical technician he worked as Production Manager at REMINGTON RAND U.S.A. (typewriters) and from 1976 to 2006 as Production Manager at SKF INDUSTRIES SWEDEN (ball bearings). He has been retired since 2007. He Knew Luisa Piccarreta attending his wife's family because an aunt of his wife who was a disciple of Luisa lived with them. 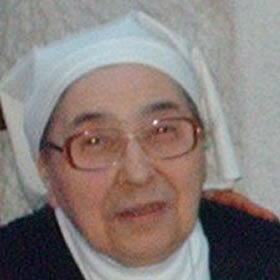 Sr. Assunta Marigliano comes from Naples. She was a nun of the "Poor Daughters of the Visitation". In 1973 she met the writings and the message of the Servant of God Luisa Piccarreta and in October 1981 settled in Corato where she founded the Association Luisa Piccarreta Little Children of the Divine Will. From 1987 to 2010 she was the President of the Association Luisa Piccarreta Little Children of the Divine Will and since 2011 as Vice President. Vincenza Arbore was born in Corato where she lives. 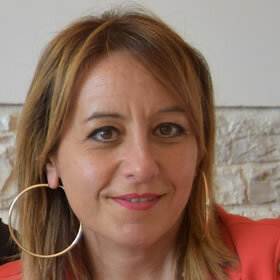 She is a certified accountant and commercial expert and has been collaborating with the Association Luisa Piccarreta Little Children of the Divine Will since 1988 where she is employed as an accountant and curator of the historical and current archive. On October 1, 2000 she was appointed as member and secretary of the Diocesan Office "Servant of God Luisa Piccarreta" for 5 years. She was an adjunct notary of the Diocesan Ecclesiastical Court of the Cause of Beatification and Canonization of the Servant of God Luisa Piccarreta. 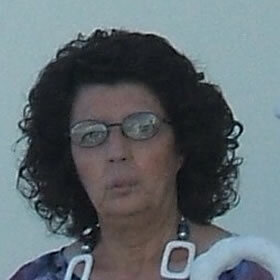 She is the secretary of the Secretariat of the Association Luisa Piccarreta Little Children of the Divine Will. From 2002 to 2010 she was a council member of the Board of Directors of the Association and from 2017 she is treasurer of it. 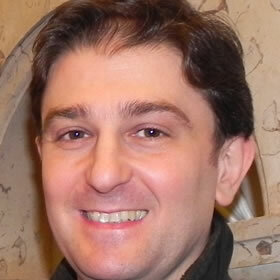 Corrado Anelli was born in Barletta and lives in Corato. He obtained a degree in Law and is qualified to teach legal and economic subjects. He practices the profession of a civil lawyer. He has been attending the Association Luisa Piccarreta Little Children of the Divine Will since 2008. Since 2011 he is the secretary of the Board of Directors of the Association Luisa Piccarreta Little Children of the Divine Will. Antonella Bucci was born in Corato where she lives. She obtained a degree in Foreign Languages and Literature (English and French). Since 2005, she has been collaborating with the Association Luisa Piccarreta Little Children of the Divine Will, where she works as a translator. She deals with the translations in English on the official website of the association, with the correspondence in foreign language and the reception of pilgrims. On December 1, 2016 she was appointed as a Member of the Secretariat of the Association Luisa Piccarreta Little Children of the Divine Will. 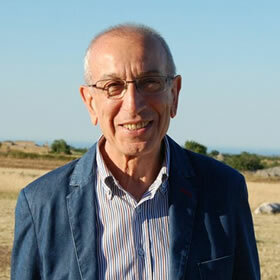 Sabino Lastella was born in Corato where he lives. He received the teacher training certificate. 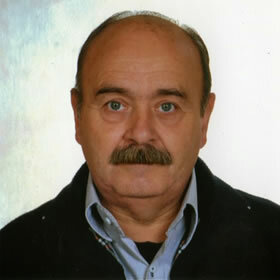 From 1969 to 2003 he was employed at the Italian Post Office. Since 2005 he has been attending the Association Luisa Piccarreta Little Children of the Divine Will. 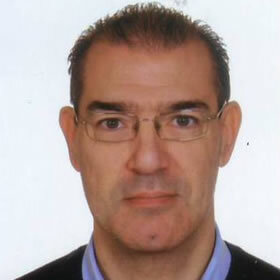 Giuseppe Maldera was born in Gravina in Puglia and lives in Corato. He obtained the Diploma of Accountant and Programmer. He is bank clerk since 1995. Since 2006 he has been attending the Association Luisa Piccarreta Little Children of the Divine Will. 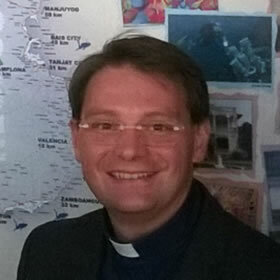 Don Sergio Pellegrini was appointed as parish priest of the Church S. Maria Greca in 2002. At the same time he was appointed as Ecclesiastical Assistant of the Association Luisa Piccarreta Little Children of the Divine Will and as President of the Historical Commission in the Diocesan Inquiry on the life, virtue and reputation of holiness of the Servant of God Luisa Piccarreta. He is the President of the Secretariat of the Association Luisa Piccarreta Little Children of the Divine Will.